Whether you want to find a local air conditioner installer for an urgent replacement or simply to make an energy-saving upgrade, Ronnie Jones AC and Heating is the company to contact. We serve the greater Temecula area, and all of Riverside County. 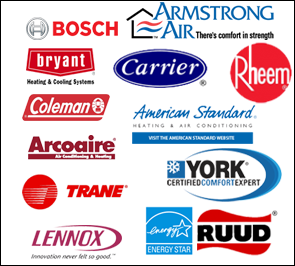 We work with the most reputable suppliers of air conditioning systems in the industry. We offer a variety of makes and models and no matter the scope of your project, we pledge to complete our work on time and within budget. At Ronnie Jones AC and Heating our goal is to get your air conditioner working the way it should. Whether your system is simply slowing down or has stopped functioning completely, we’ll arrive on the scene with our tools and knowledge to work up a solution. We pride ourselves on providing air conditioning repair services that are as effective as they are affordable. Because we value our clients, we strive to achieve complete customer satisfaction on every job we do. Don’t take chances with your home or business when Ronnie Jones AC and Heating is on hand to provide the air conditioning service you need. Call us now: 909-322-9264.